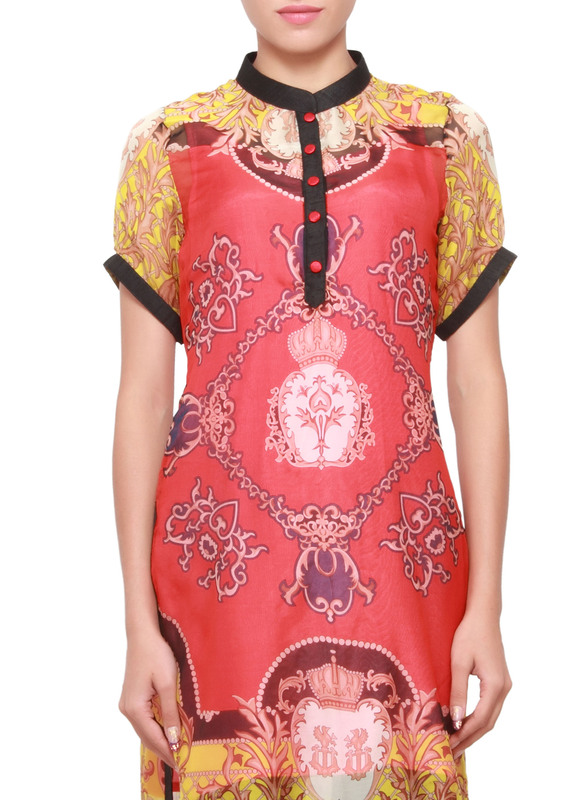 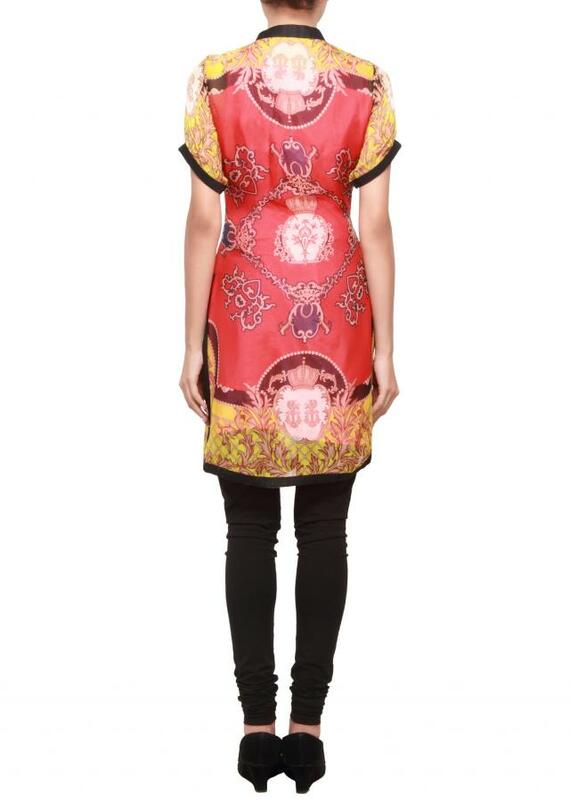 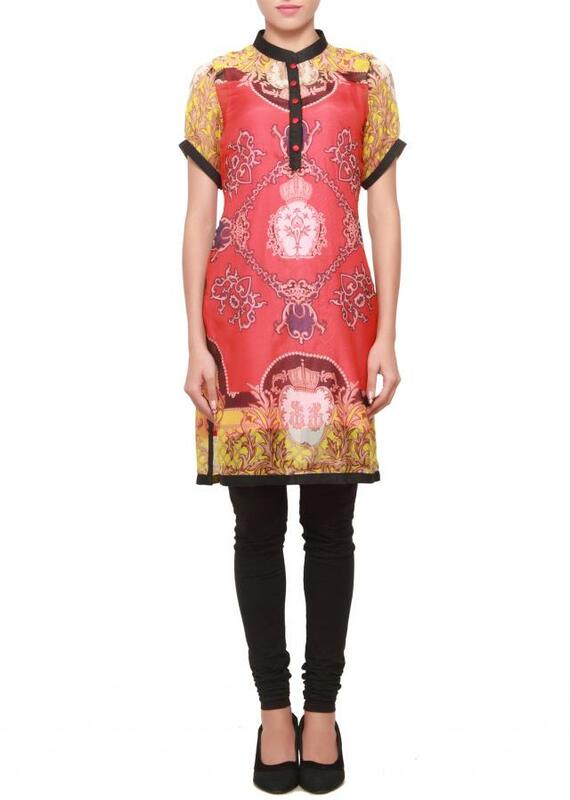 Featuring crepe multi coloured kurti. 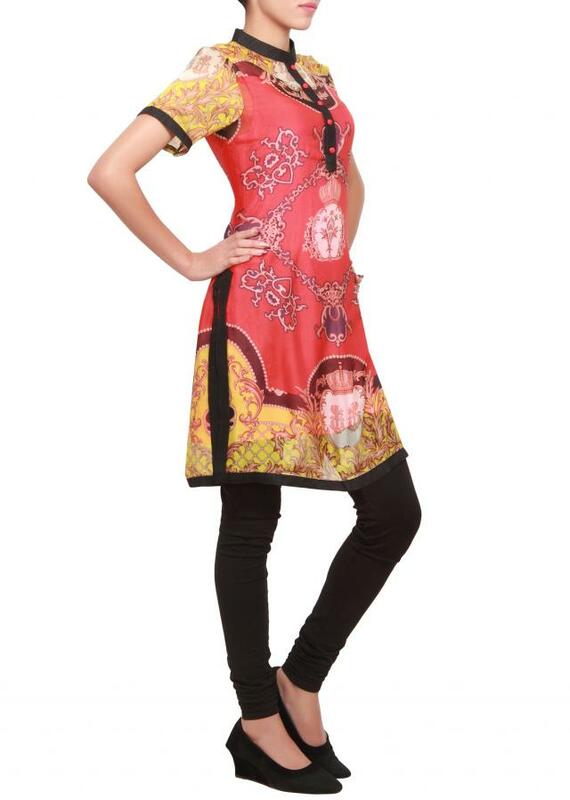 It has black piping details overall. It has a crew neckline and short sleeves.